Dylan Sirois is a Graduate from the University of Maine with a degree in Secondary Education and History. He became involved with the Maine Adventure Society in 2009. After an immersive experience, he had the urge to create his own game, which later because Mystwood. It is his hope Mystwood will expand the hobby to those who would not initially see themselves as "LARPers" by running an affordable, exciting, and inclusive game. Dylan's interest in history and education have driven him towards the creation of an immersive medieval world where anyone can aspire to Knighthood and be the hero that saves the day. 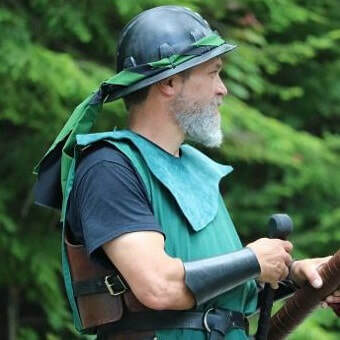 Doug is a Veteran LARPer of 14 years who fell in love with the hobby from the very first Event he attended. 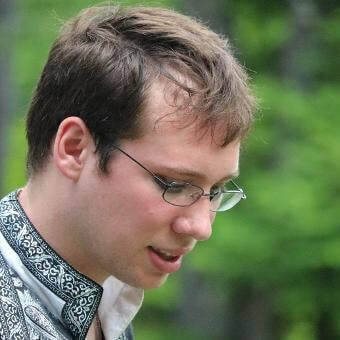 Having experience both playing and staffing events, and being mentored by Truax McFarland from the age of 14, he has enjoyed countless weekends in the woods with the Maine LARP community, and has worked to help the community and games grow over the years. He hopes that Mystwood will continue to attract people from all walks of life, and that the community will continue to grow and nurture the amazing world that is the Mystwood setting. A native of Maine, Doug graduated from Hall-Dale High School in 2008. He spends his free time with his dog Twig in central Maine. He currently works as an armed Protective Security Officer for the Department of Homeland Security, and is an OEF Veteran 2012-2013. 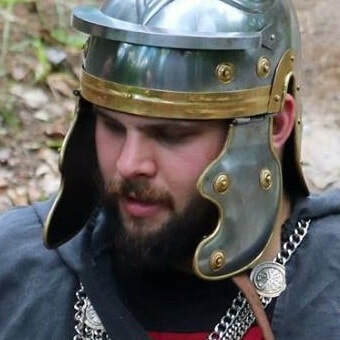 ​David Sirois is a veteran LARPer who has taken part in many campaigns at both the Jefferson MASI site and the Harrison Burgundar site. Alas, despite many attempts, he stalwartly refuses to create a biography, thus forcing Bob Dunham to enter this placeholder. Truax has been a Live Action role player for twenty seven years. His game design credits include Stalkers Way, Exile, Roanoke, Dreamquest, Monsters & Mayhem, and (with Dylan Sirois) the majority of the mechanics behind Mystwood. Systems derived from his designs have been used in more than a dozen Live Action Role Playing games across New England and beyond. By his rough calculations, he has spent more than two years of his life LARPing. He is a Physics Teacher by occupation, a fighter by preference, and is the inventor of the Waystone "self-running" module mechanic.